In Gloucester City, Max's Seafood Cafe (34 N. Burlington St., 856-456-9774), items that can be prepared gluten free are marked on the lunch and dinner menus. 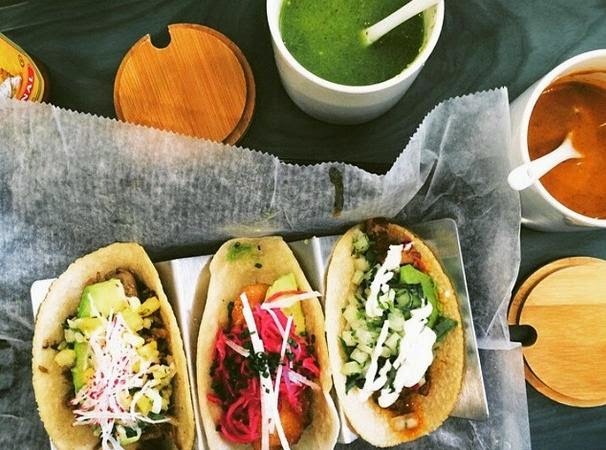 Center City workers and residents will get to enjoy an all-gluten-free, allergen-friendly restaurant beginning next month, as well as a nearly 100% spot in the fall. My Tuesday post has details on The Farmer's Keep and Herban Quality Eats. Sweet treats from Chalfont's all-gluten-free The Happy Mixer are now available at Jules Thin Crust locations in Pennsylvania, while the pizza shop's new Cherry Hill location is carrying several products from Posh Pop Bakery in Haddonfield. Posh Pop's baked goods are also sold at the Rastelli Market Fresh locations in Marlton and Deptford. 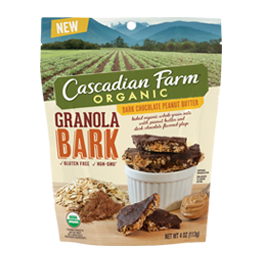 Cascadian Farm Organic introduced a new gluten-free granola bark in two varieties: Dark Chocolate Peanut Butter and Dark Chocolate Almond, both made with oats. The products are available exclusively at Target stores. The Nourishing Well in Havertown (505 W. Darby Rd., 610-853-2052) has announced its new Spring Healthy Cooking Classes. The entire Thursday Hands On Cooking Class Series, which focuses on family-friendly dishes, will be gluten free. There are also Sunday demo-style classes and a new Saturday series that brings together The Nourishing Well and a local health practitioner. The National Foundation for Celiac Awareness is sponsoring a Research Summit next month. The meeting will bring together physicians, scientists, individuals personally affected by Celiac Disease, the biopharmaceutical and diagnostics industries, government stakeholders and advocates and innovators from various health care fields to help improve life with Celiac Disease. Please take a 10-12 minute survey by March 31 to share your experiences - the collective responses of people living with Celiac Disease, parents and caregivers will drive the meeting that will help researchers determine how to make day-to-day challenges easier.